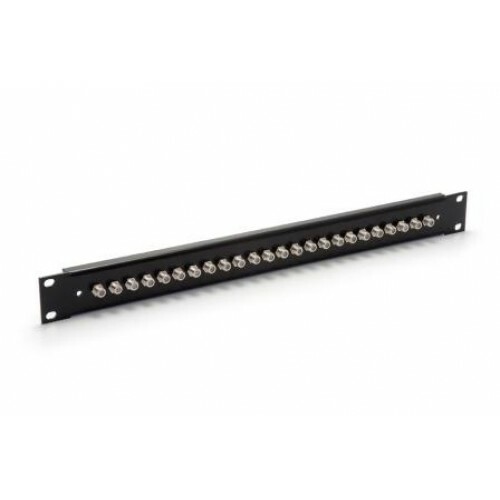 Rugged steel plated 1U Height/19 inch width patch panel populated with 24 F Type panel socket couplers. Rugged panel utilises 3mm thick powder coated aluminium. Product is supplied without cable bar. If a tie bar is required please see seperate part CP-1465. We are able to manufacture a wide range of custom patch panels to customer requirements. Please contact us with your requirements.